I'm so excited to share this outfit with you because 1) I've been wearing these floral jeans on repeat and 2) I got to collaborate with a wonderful brand for this shoot! 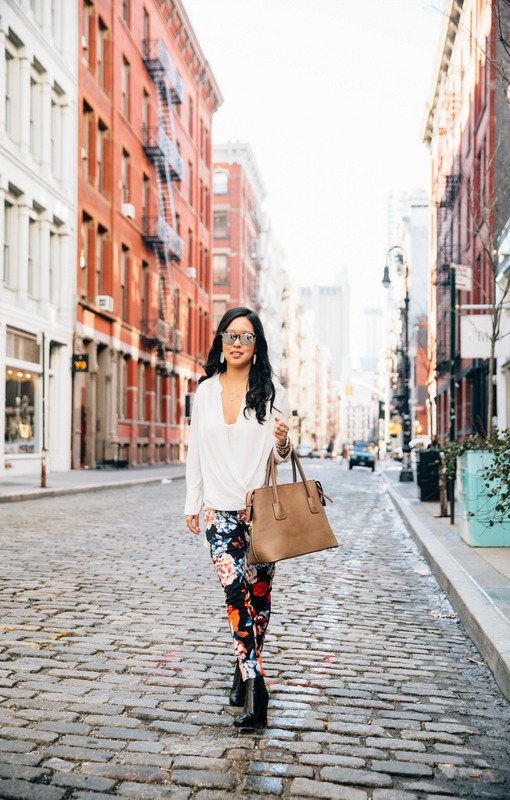 If you haven't heard of Angela Roi, they're a New York City based luxury handbag company that is animal free and sweatshop free. On top of that, they donate portions of each sale to charity causes ranging from Cancer to Anxiety and Depression, based on the color of the handbag you purchase. 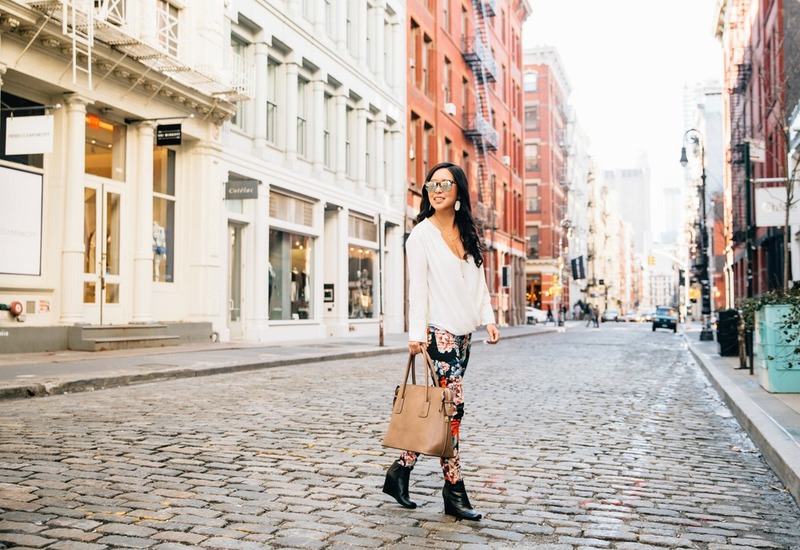 Angela Roi gives you the opportunity to shop and positively impact the community- how cool is that? !